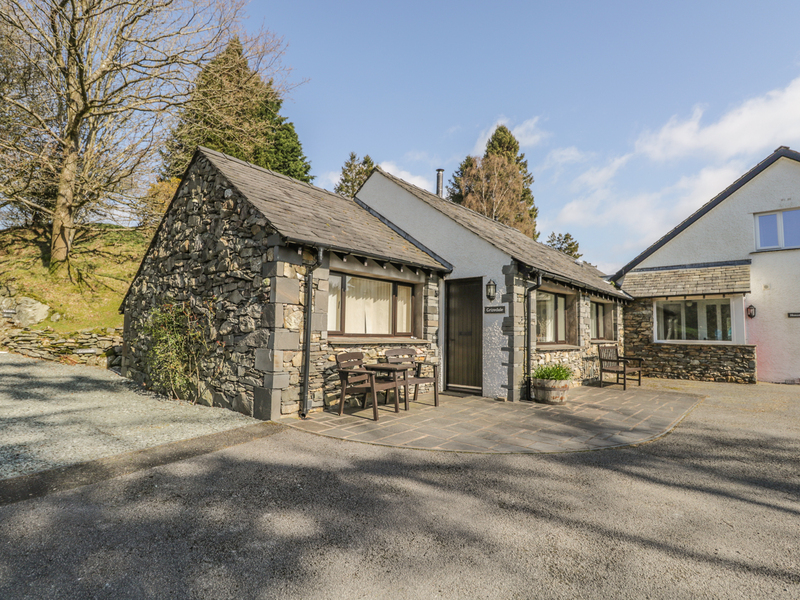 Grizedale Cottage is one of a cluster of pretty cottages at Outgate on picturesque Bracken Fell. Available to rent alone or with Latterbarrow Cottage sleeping two people, this is a comfortable and cosy romantic getaway in a rural location yet close to all the attractions of the Lake District. The double bedroom has an en-suite washbasin and WC, while the rest of the spacious accommodation comprises a living/dining room with a wood burning stove, a modern fully fitted kitchen and a bathroom. 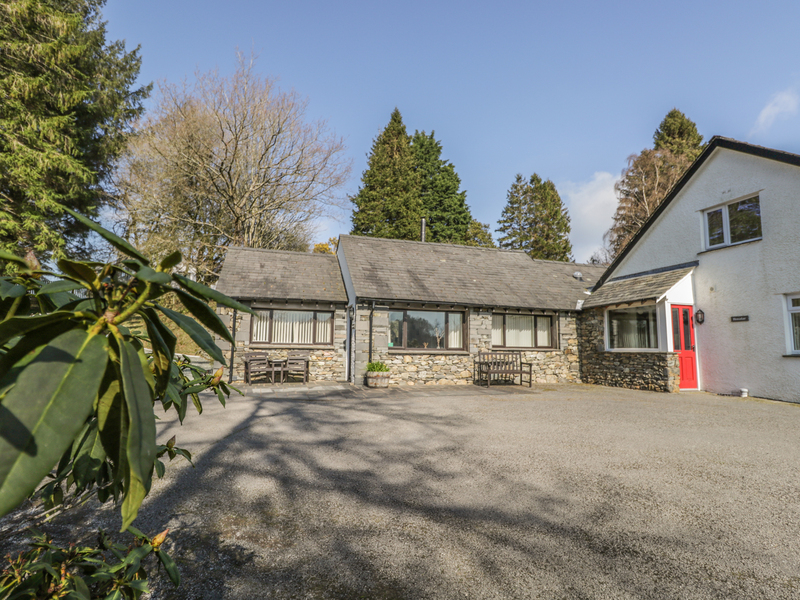 With a tranquil terrace perfect for al fresco dining, plus use of the communal gardens, Grizedale Cottage also has off road parking for your car. Just 1 mile from Beatrix Potter's Hill Top at Hawkshead, this cosy country cottage is the ideal romantic bolt hole at any time of year. All ground floor. 1 x double bedroom with en-suite washbasin and WC. Living and dining room. Breakfast kitchen. Bathroom with overhead shower, washbasin and WC. Gas central heating with woodburning stove. Electric oven, gas hob, fridge/freezer, dishwasher, washer/dryer, microwave, TV, DVD. Gas and electricity included. Bed linen and towels provided. Cot and highchair available. Off road parking for 1 car plus extra for guests. Patio with garden furniture plus shared use of large communal lawned gardens. Sorry, no pets and no smoking. Country inn 5 mins walk. Hawkshead 1 mile. We also have details of 75 other similar properties nearby which might suit you.